Chief Constable Bill Skelly said: “In the Force Management Statement I published in September 2018 I predicted that we would need to make some tough choices. “Friday’s meeting has effectively confirmed that we will need to make £3.2m of savings during the financial year to March 2020 and whilst this is not as bad as the £6.9m we had predicted, it will still mean across the board reductions and consequently a reduction in the service we are capable of providing. • Various other initiatives such as reducing overtime, the vehicle fleet and scrutinising other key support functions for further savings will be ongoing. He said: “We have made significant savings over several years and are working hard to increase our efficiency by investing in technology to provide a safe policing service to Lincolnshire. 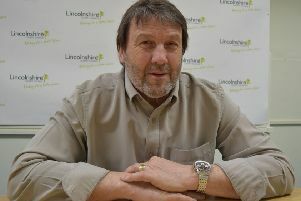 Chair of Lincolnshire Police Federation, Jon Hassall, said: “I repeat my comment after the Force Management Statement was published last year, that the taxpayer in Lincolnshire does not get a fair deal and police officers are breaking because of the strain on them. She said: “With the necessity to apply £3.2m in cuts it will seriously undermine the ability of the Force to provide the current high standards our staff achieve. Any lessening of services currently provided would seriously impact on the capability of the Force which will have been brought about through no fault of its own. Director of G4S Services Delivery for Lincolnshire Police, Fiona Davies, added: “We are working on delivering a £1m saving for the Force, but it will inevitably result in a reduction of the services we are able to provide. “There are 18 services delivered include staffing custody suites, the force control room, HR, IT and the management of the force fleet, through providing innovative solutions and streamlined processes which have allowed officers to spend more time on serving the public of Lincolnshire. Mr Skelly added that although the budget is having to be reduced, the Chief Officer team remain committed to continuing to invest in key elements to support the workforce in future. He concluded: “That includes providing access to the latest and very best technology including mobile data, alternative fuel vehicles and continuing to upgrade ICT in general.